The next Strange Stuff movie? Okay, probably not, but that doesn’t mean it’s not damn funny anyway. 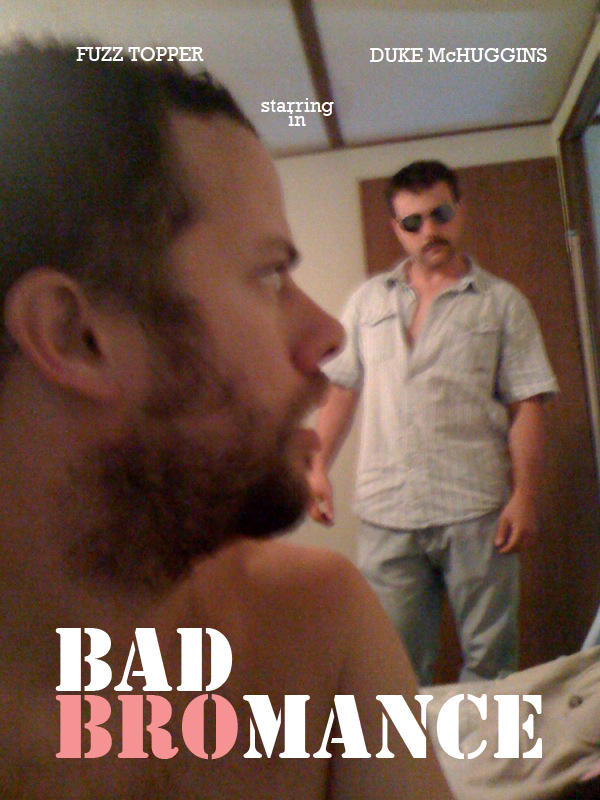 See, we held a contest among the fans on our Facebook fan page asking them to create a movie title for a mock poster. What we found out was our fans were more twisted than we were! Good Lord! Did you read some of these suggestions? We said we would comb through all the suggestions and a team of perverted experts would determine which movie title was worthy of a Death of the Dead DVD. The competition was fierce as baby twins arguing, as tight as a Charlie Sheen girlfriend and loaded with more creativity than a Rebecca Black song (FRI-DAY, FRI-DAY). But we said we’d pick a winner and here it is. Man, this is intense, isn’t it? BAD BROMANCE by Sarah Barretta! Congratulations to Sarah, you have won yourself one of the most talked about, written about, buzzed about movies my family has ever seen. Death of the Dead! And as if that wasn’t enough. Here’s your mock poster too.